Government support for microgrids is scant in the US — an issue that industry leaders plan to tackle during a pre-conference workshop on microgrid policy leading up to Microgrid 2019. 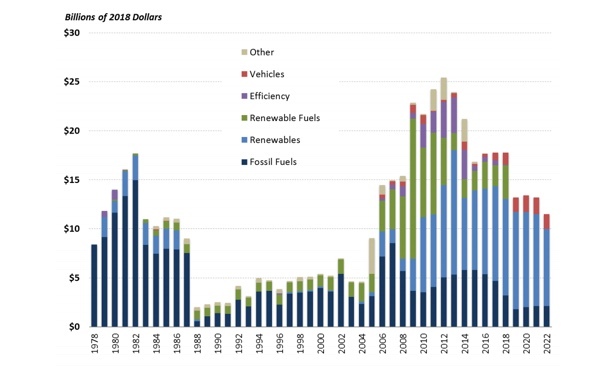 State and federal incentives heavily influence which energy technologies prosper. All major energy resources — from energy efficiency to fossil fuels — have received some form of government incentive, especially during their early stages, to help them gain market footing or to fulfill policy goals. The federal government provided $17.8 billion in tax-related support in 2017, with 25.8% for fossil fuels and 65.2% for renewable energy, according to a report issued in March by the Congressional Research Service. The remainder went to nuclear energy, efficiency, and alternative vehicles. Microgrids benefit from some of these incentives, but only indirectly. For example, the solar portion of a microgrid may leverage a 30 percent federal tax credit allowed for solar. Renewable energy within a microgrid also may earn revenue via renewable energy credits (RECs), created through state renewable portfolio standards, which the Berkeley Lab says are responsible for half of the growth in renewables since 2000. Government support comes in other forms as well for enabling technologies, such as low interest loans or credits for combined heat and power. In other words — except for a handful of programs that offer grants for demonstration microgrids — no incentive exists for a microgrid in its totality. Certain state policies also can indirectly drive microgrid development, such as clean air initiatives or community resilience efforts. “Of course, the devil is always in the details,” Asmus says. For example, Maryland promotes the idea of utility distribution microgrids paid for through utility rates. Yet, to date, Maryland state regulators have rejected the microgrids proposed by utilities. “In addition, while New Jersey created an Energy Resilience Bank, all available financing has been spoken for and it is unclear whether additional financing will be available in the future. Finally, though several states have set targets for greenhouse gas emission reductions, California is one of only a few states that have mandated carbon emission reductions via binding state legislation,” Asmus says. Perhaps most daunting is the dearth of monetary recognition for a key microgrid benefit — resilience. Power outages are costly to the economy, but government has been slow to calculate the worth of a technology that avoids outages. 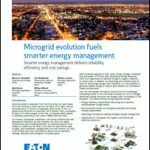 Some microgrid advocates argue that society, in essence, captures this benefit free of charge at the expense of the microgrid owner. How so? Utilities are required by regulation to provide reliable electricity. Yet when they fail to do so, and a microgrid takes over, no payment goes to the microgrid for taking on the extra job. 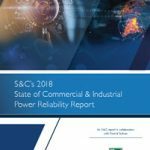 For example, if an outage occurs during a storm and a college microgrid supplies power to its campus, the microgrid receives no direct compensation for assuming the utility role. The situation becomes even more complex if a microgrid-run facility opens its doors free of charge to first responders for phone charging, hot meals or running water. “Whether you are a regulated utility seeking to rate base microgrid investments on your system, or you are a private developer seeking to earn a return, or a public institution seeking to deliver social impact through local infrastructure improvement – in any of these cases you need to monetize the social benefits that flow from your new local islanded system in order to pencil out your investment,” says Ken Horne, director for smart grid for Navigant, who will serve as workshop moderator. Why are there no incentives for microgrids? And should there be? Guiding principles for microgrid policy? All of these issues will be explored May 13 at the “Market & Policy Workshop: Tariffs, Tax Incentives, RECs or Something Else?” which will be hosted by Microgrid Knowledge and Navigant. Thought leaders and policymakers will come together for presentations, small group problem-solving sessions and participant polling. 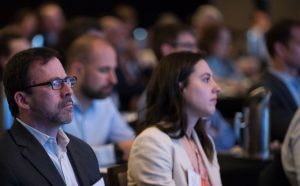 The goal is to produce a set of guiding principles and next steps for microgrid advocacy that will be presented to the broader Microgrid 2019 audience May 14-16. Workshop registration is limited. Please note that some Microgrid 2019 programs have already sold out. Details about the microgrid policy workshop are here.